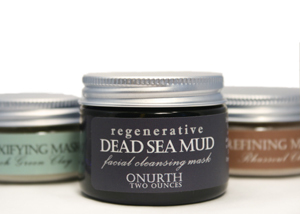 Onurth Facial Serum. 2 ounces. Onurth's Organic Hydrolats. We recommend using a facial brush to mix and apply this product. 4 ounces. facial brush to mix and apply this product. 4 ounces. can easily get caught in the cuticles of the animal hair, allowing bacteria to grow and making the brushes unsanitary. Taklon, on the other hand, doesn't have a hair cuticle and has antibacterial properties, making it much better for the skin. Organic Egyptian Rose Geranium Essential Oil.